Please welcome the 91.5 FM & 102.5 FM Phuket Radio Player. Available from today and completely FREE for you to download, you’ll like that right? Phuket FM Radio Co Ltd 91.5 FM & 102.5 FM is delighted to introduce our latest web-enabled Desktop Phuket Radio Player and mobile applications, please welcome the Phuket Radio Player 2018. As you will see below you can just copy and paste the code into your website and blog and let your web visitors tune in to Phuket. Phuket FM Radio is all about the entertainment and the music, with a “Less Chat More Music” policy. 91.5 FM and 102.5 FM currently broadcasts the same content throughout Phuket Island. The BBC News is live on the hour every hour (subject to internet and electricity being available) with a 90 minute BBC News and Current affairs every morning from 6am. Phuket FM Radio is an Official BBC Partner and during the week we offer many programmes direct from London. 91.5 FM is the oldest English language radio station in Phuket. As we move through 2018 and towards 2019 91.5 FM is over 10 years old. With our antenna situated in the North of Phuket this enables us to service areas such as Surin, Laguna, Layan and all the way up to Phuket International Airport. 102.5 FM is our Central and Southern Phuket radio frequency. Covering the whole of Phuket Island with one frequency is not possible. 102.5 FM can be heard throughout Central Phuket, including our antenna location in Phuket Town, Kathu, Patong, Karon and Kata and right the way into Rawai and Nai Harn. 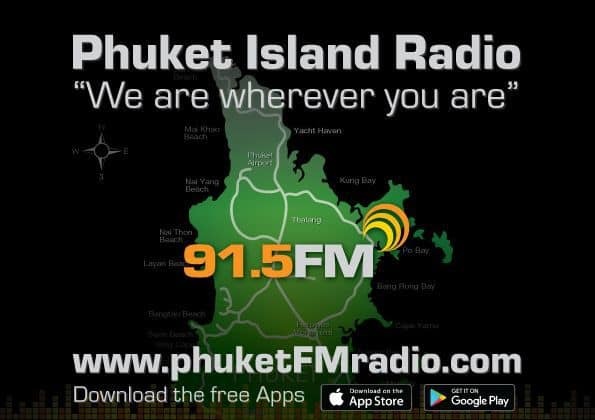 91.5 FM is your go-to Phuket Radio Station when travelling North from Boat lagoon all the way to Phuket International Airport and also the North West Coast of Phuket, Kamala, Surin, Laguna and Layan. It does drop out after Kalim going through Nakalay, unfortunately. 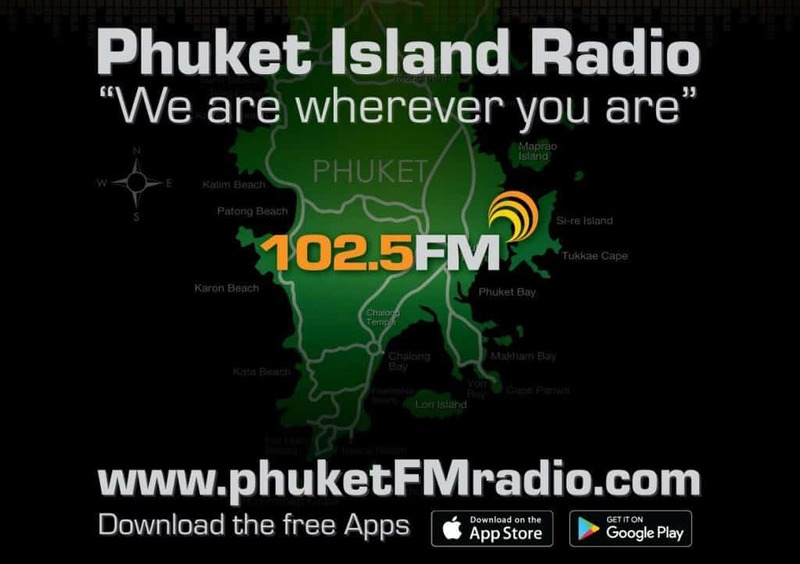 102.5 FM is your go-to Phuket Radio Station when driving South from Central Phuket, directly South to Chalong, Rawai and Nai Harn or along the the South West Coast through Patong, Karon and Kata Beach. Keep free space in your website. Responsive with the box design.